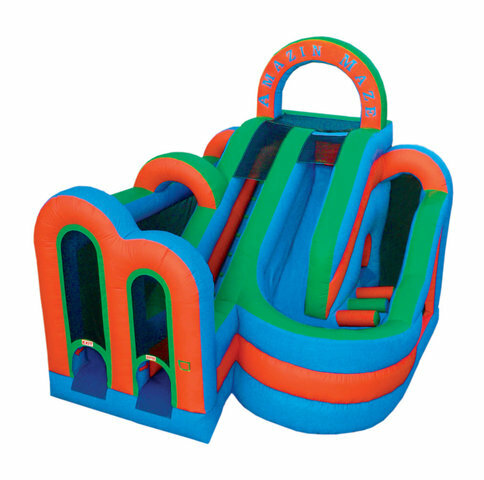 Introducing the Amazin’ Maze, a truly amazing obstacle combo that can be used wet or dry. You start the Amazing Maze by climbing up to the very top of the slide, take a seat and ride into a wild 180 degree turn, then navigate your way through the first set of obstacles. Next it’s through the tunnel before making your way around the final obstacles to the exit.